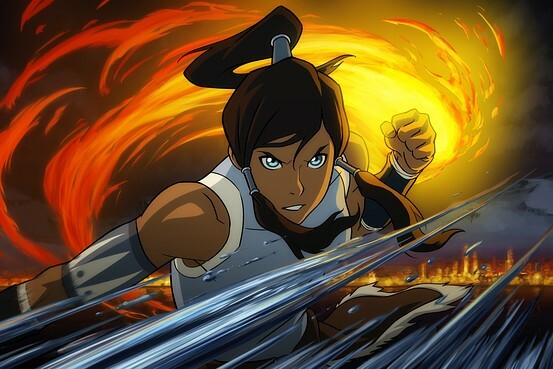 In what seems to be a regular occurrence over on The Last Airbender subreddit (yes, I am a subscriber), someone has released yet another internet petition for an official soundtrack release for Avatar: The Last Airbender and The Legend of Korra. Now this one has gained a bit more traction that previous ones in that the actual production house, The Track Team, has linked to it. So it has a bit more pedigree than previous attempts, so why does it still fail to stack up? Well, it once again makes the familiar mistakes of such campaigns. To start off at the very beginning is to say that it is internet-based. That’s great, it transcends national boundaries and gives everyone a chance. However internet campaigns are notorious for overstating their mandate and/or influence. A million people signing a petition on the net is not the same as a million people signing a real sheet of paper. The chief cause of this is that the reason that allows people with similar interests to easily communicate and interact also has the effect of removing the physical barriers that continue to exist in the real world. Things like geography, infrastructure and so forth. So we’re already off to a bad start. An actual, old-fashioned letter-writing campaign carries much more weight. Although even then, it falls prey to using form letters that I can assure you carry little influence. Having people writ actual, unique, personal responses gives the impression that the show had a very real impact on the individual. A real impact translates into real dollars. I just signed the following petition addressed to: Nickelodeon Studios. Hmmm, well, for starters it doesn’t address anyone in particular. There’s just a generic salutation, which means it could be directed at the janitor as much as the VP. For such campaigns to be effective, they have to be directed at someone, hopefully the person with their finger on the requisite button. Otherwise it is apt to get lost in the corporate machinery; never a good proposition. So the first lesson is to find out who it is that needs to receive these letters. Moving on, the petition is addressed to Nickelodeon Studios. Now while the studio may be responsible for the actual animation, the network itself actually owns the show. However, neither the network or studio will have responsibility for the music. That belongs to Nickelodeon Records, the music division of the company. They’ve been responsible for releasing records of SpongeBob and iCarly, so my money is on them being the ones who who need to be convinced that an offical OST for Avatar and Legend of Korra is a good idea. Onto the next sentence, again, it’s a problem we’ve seen before. A flat out demand! “Release [the] official soundtrack”! It isn’t hard to fathom that an “or else” was left out by accident. Demands tend to alienate people. They insinuate that the demander is right and the demandee is wrong. That does you no good at all, especially in a situation when a corporation holds the cards. Next there is a sentence that makes a half-decent attempt at a reason. It mentions that Jeremy Zuckerman has made some beautiful music for both shows but then completely wipes out such a statement by demanding (again with the demanding) that such music needs to be released “for the fans”. Such a sentence does little to propose a reason as to why the music should be released for the fans. Surely that’s what the petition should be doing right? So the petition above really doesn’t do anything beyond attempting to provide the wrong people within Nickelodeon with some sort of indication that people “on the internet” would like to see an official release of a soundtrack for some TV shows. That’s great. So what can be done? Well, it’s not so much the petition that’s the problem, just the way in which it’s being carried out. Petitions do work if they’re done right. So how is that accomplished? Well, let’s start at the very top. Who is the petition targeting? Who needs to be convinced that releasing soundtrack has its benefits? That would be whoever is in charge of the Nickelodeon Records division. They are the one who have the pull to lobby for a release. Now their information isn’t exactly widely available, so you have to go up the chain of command until you find a person who is. In this case, it is most likely going to be Cyma Zarghami, erstwhile president of Nickelodeon. While going to the very top has its disadvantages, at least if the president is aware of a consumer demand for an OST, they can instruct those below them to look into it. So now that we know who needs to contacted, what exactly do we say to them. Do we demand they release an official OST? NO! Instead we need to convince them that such a project is worth their while. In order to do that, we have to look at the situation from Nickelodeon’s point of view. They obviously want to make money on the deal (as would any business), which should lead us to conclude that the easiest and simplest way to convince them to release an official soundtrack is to persuade them that they will make money from doing so! That is actually easier than it appears. For one, both shows have a rabid fanbase. Secondly, they aren’t necessarily looking for physical CDs either. A digital download would gladly suffice. Since Nickelodeon already undoubtedly has the music in digital form, it should be a simple case of uploading them to iTunes or Amazon.com and going from there. Nickelodeon already has content on both services so it isn’t like they have to start from scratch. It also won’t cost them anything to put them up there because it’s all digital and both Apple and Amazon will pay to host the files! Nick also undoubtedly has some artwork lying around that someone could quickly whip up an album cover to identify the albums, and that is quite literally the last thing they would have to do. Fans would easily take it from there. As we can see, they effort on Nick’s side isn’t all that much, but what about the payoff. Why should they release an OST. The answer is simple, because fans are already exhibiting a consumer demand for one! The proof isn’t that hard to find either. An unofficial OST has been doing the rounds on the bittorrent networks for a while now and remains popular even though the standard of the audio is well below acceptable norms. Now Nickelodeon may protest that such unauthorised releases deny them revenue, and they’re right. Except that there is no authorised alternative! You can’t deny someone revenue if they are failing to provide an option that doesn’t deny them revenue! Look at all of these! They aren’t “pirates” they’re consumers with disposable income that want to support the show they love! Companies generally like it when people offer to give them money, so if you were Nickelodeon, why would you leave such money on the table? The simple answer is that you wouldn’t! Given the relative ease and low cost it takes to get music released online these days, even if Nickelodeon didn’t make a fortune off an OST release, it would create a lot of goodwill with fans, fans who are likely to be much more receptive to Nickelodeon shows in the future. Don’t demand they do what you want. Explain why you are distraught; give the reasons in a clear and concise manner. Propose a possible solution, one that is likely to be acceptable to them and sympathetic to their side of the argument. Garner support and make personal responses necessary. A story behind every letter will likely win much more support. Be absolutely prepared to act on your claims if and when your request is granted. That means not linking to/downloading from/boasting about, torrents of the official OST if it is released. If you follow these steps, I can assure you that your campaign will gather more traction and result in an official OST being released.